Restorative Justice is simply a different way of thinking about a crime and our response to deal with law breakers. We often view crime as a crime against the crown and when the law is broken it is the Crowns responsibility to deals with the offenders. Under the Restorative Justice Model, crime is viewed as an offence that breaks the relationship between individuals. They feel that First Nations and communities are in the better position to deal with the offenders than the Crown. To facilitate the development of First Nations Justice projects to demonstrate that alternative measures can be effective in First Nation communities. To promote community based justice development and delivery of services to meet the needs of the community including victim services, youth services, court services, crime prevention and others. 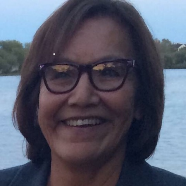 To develop a restorative justice model based on First Nations’ values and traditions that can be used by other First Nations within the Tribal Council.